Come hear instructors share about new quilts and projects to make in classes offered for the next 2 months. When you sign up and pay for your classes at the time of this event, you will receive 20% off your class supplies, listed on the supply sheets. 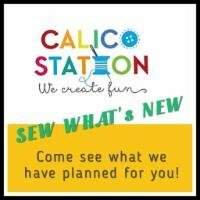 Come find out about future events and workshops and take a look at new products. Also, don't forget to bring your finished projects in to share with us during "Show and Tell". We would love to see them!